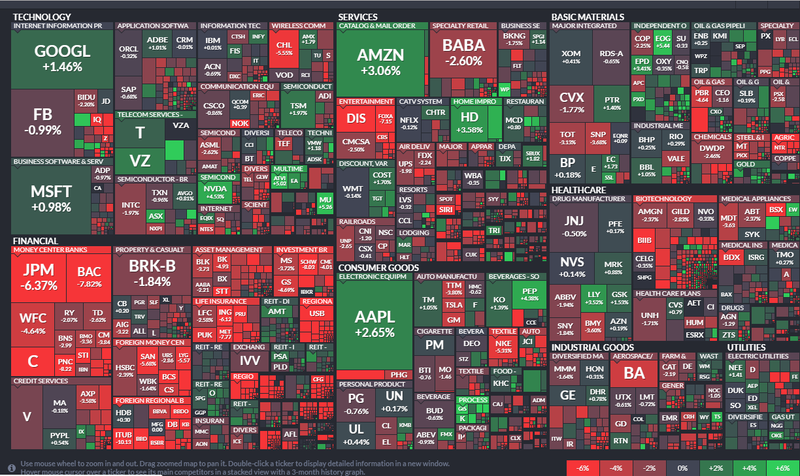 Welcome Stockaholics to the trading week of March 25th! 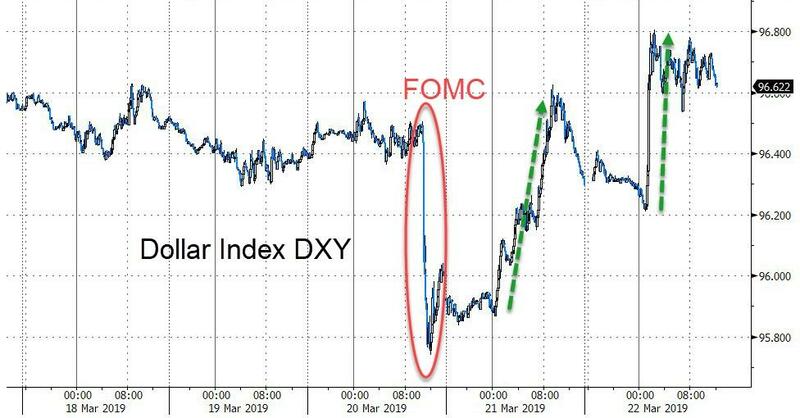 The relative stability expected from an easing Fed has prompted a run into carry trades and USD remains a big player. 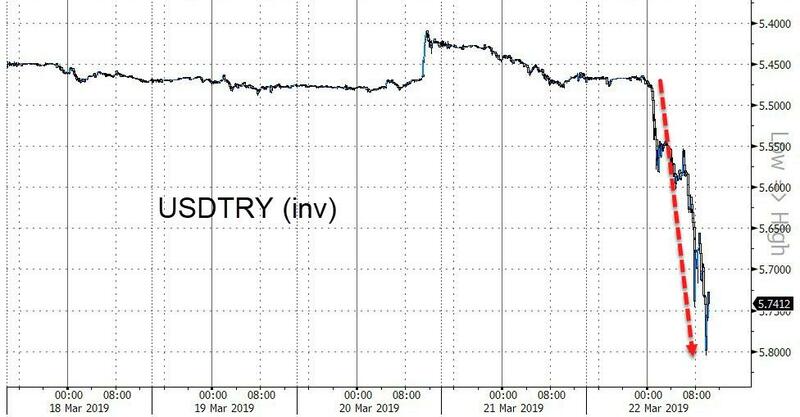 The Turkish Lira collapsed today as a surprise tightening by the Turkish central bank failed to stem a rout in the wake of an unexplained drop in official reserves. 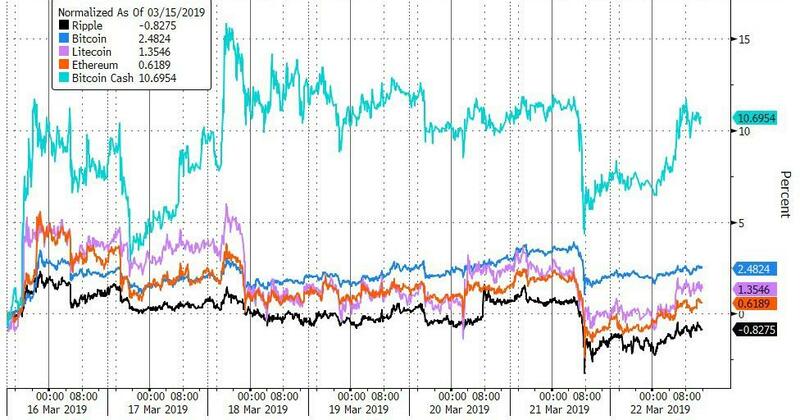 “Today the unsustainable nature of state-owned banks being the only sellers of [US dollars in exchange for lira] over recent weeks became evident,” said Roger Hallam, chief investment officer for currencies at JPMorgan Asset Management. 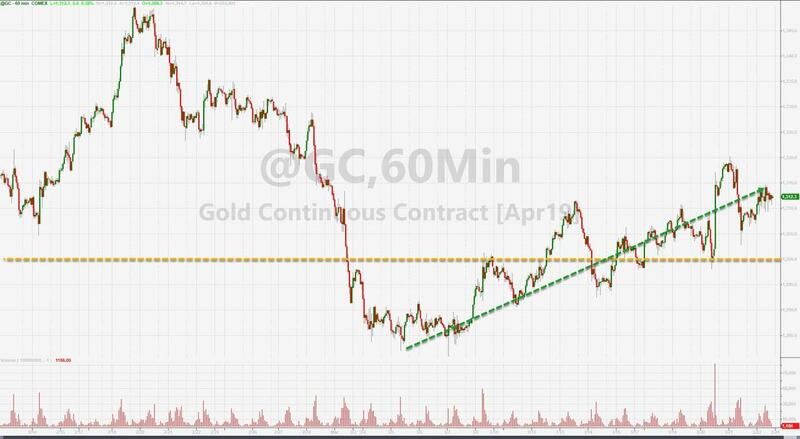 100% of the time the low resulting from the waterfall decline was retested, and in 15 of 19 cases a new lower lower was made. While the rest of the market was rallying and holding up, the Russell has been struggling for close to a month now. 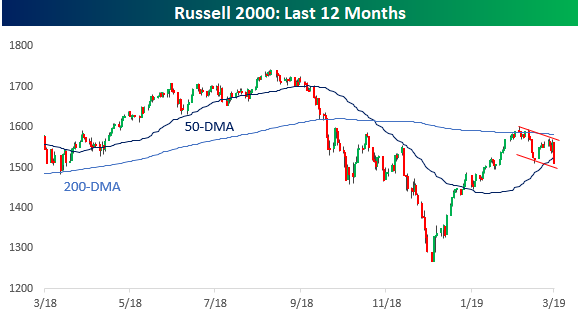 After peaking above its 50-DMA back on 2/25, the Russell has had a hard time holding onto any gains lately. 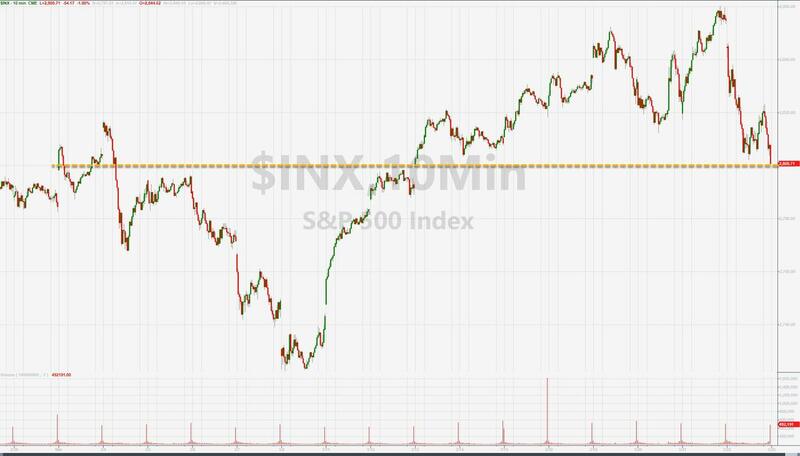 Earlier this week it made a lower high when the rest of the market was making higher highs, and to close out the week, it declined 3.6% for its worst day of 2019, making a lower low. 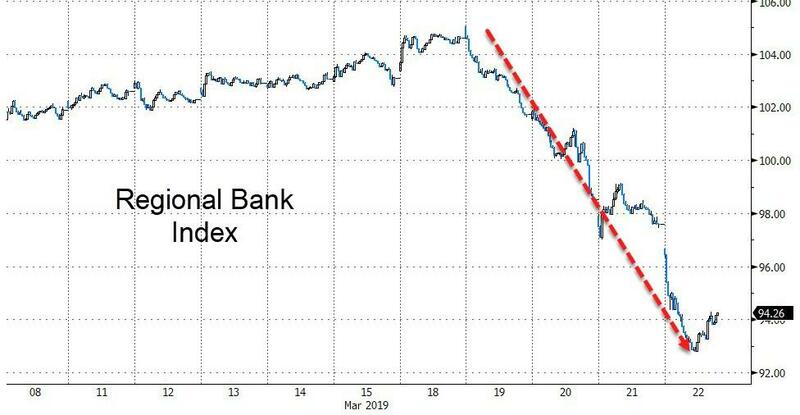 Not a pretty chart at all. 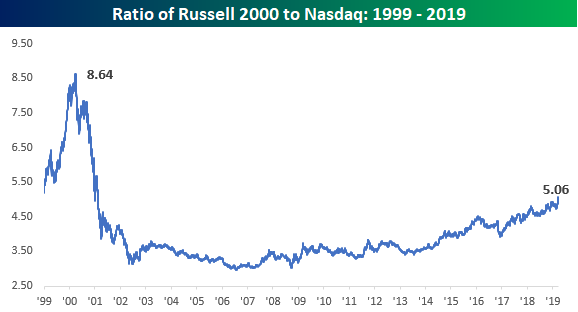 The Russell’s underperformance can really be seen in the ratio of the Nasdaq to the Russell 2000. This week, the ratio between the two really become unglued, topping 5 for the first time since February 2001. 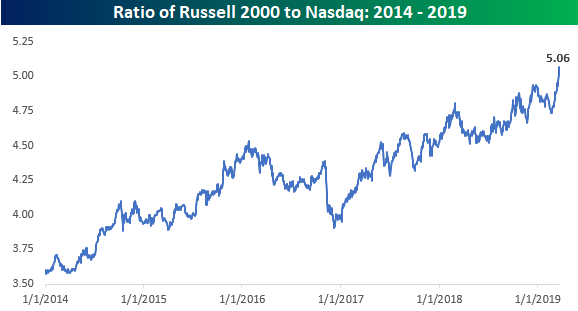 On a longer-term basis, the only time the Nasdaq has been outperforming the Russell 2000 by such a wide margin was during the period from November 1998 through February 2001. 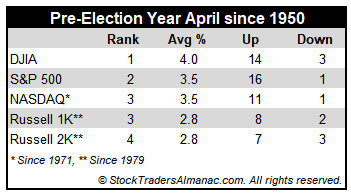 And if you think the ratio is extreme now, during that period it got as high as 8.64 on March 28, 2000. 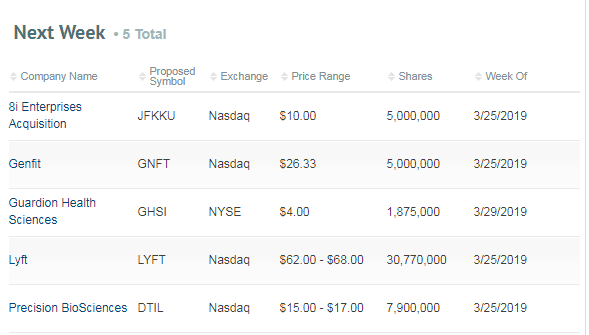 In order for the ratio to get to that sort of extreme now, the Nasdaq would need to top 13,000 (assuming the Russell remained at the same level). 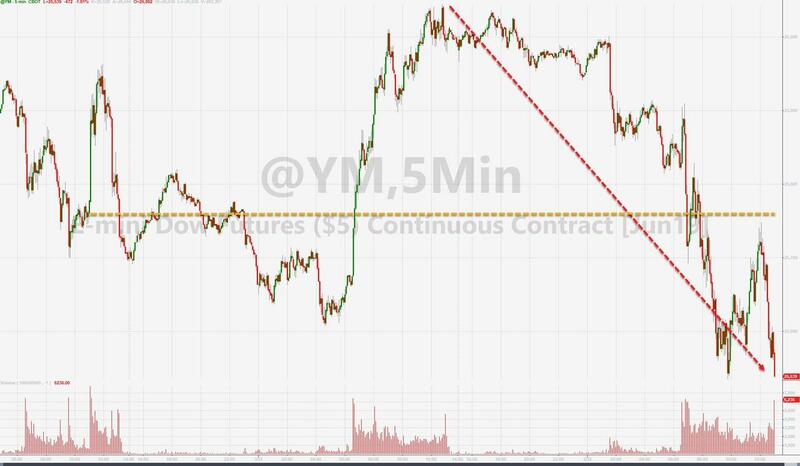 If you are anything else besides the yield curve today, the market doesn’t care. 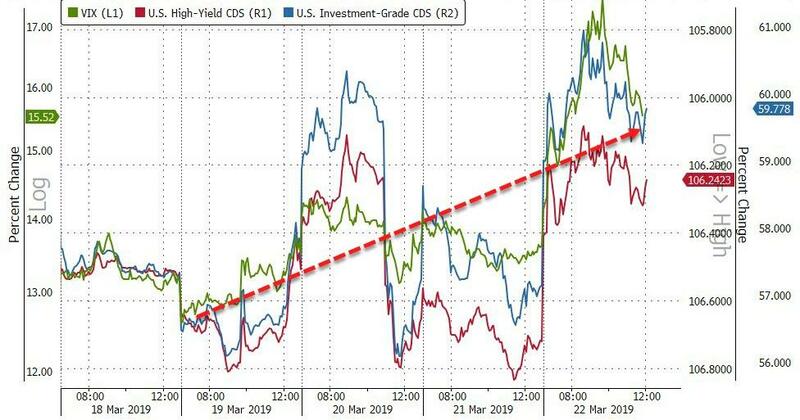 After inverting for the first time since 2007 earlier today, the spread between the yields on the 10-year and 3-month US Treasuries has sucked up all the oxygen in the room as investors, traders, and their algos fret over the ominous economic signal that an inverted yield curve historically implies. 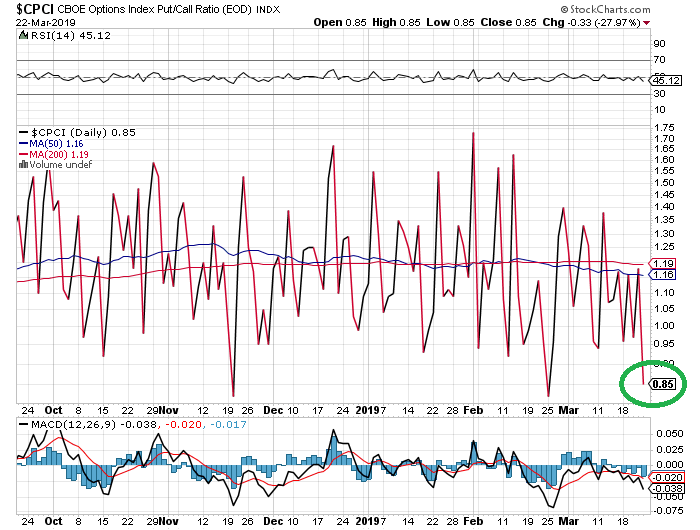 Who cares whether the onset of a recession usually comes several months or even a couple of years after the curve first inverts; investors are using this as an excuse to take profits, and take profits is what they’re doing. 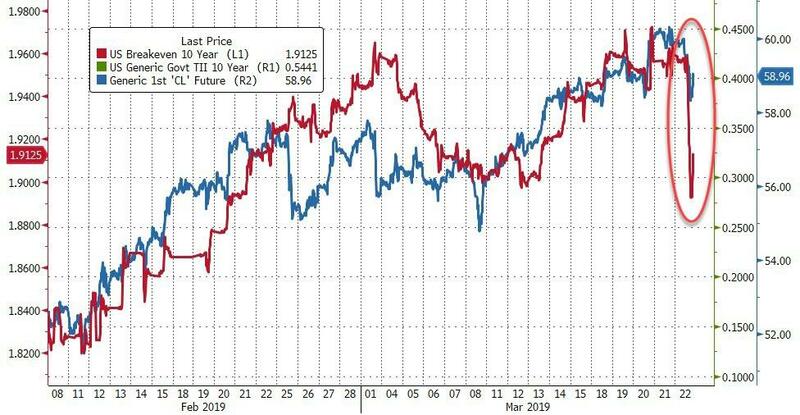 Just to illustrate how captivating the yield curve has been to the equity market, check out an intraday chart of S&P 500 futures versus the yield curve since very early this morning. 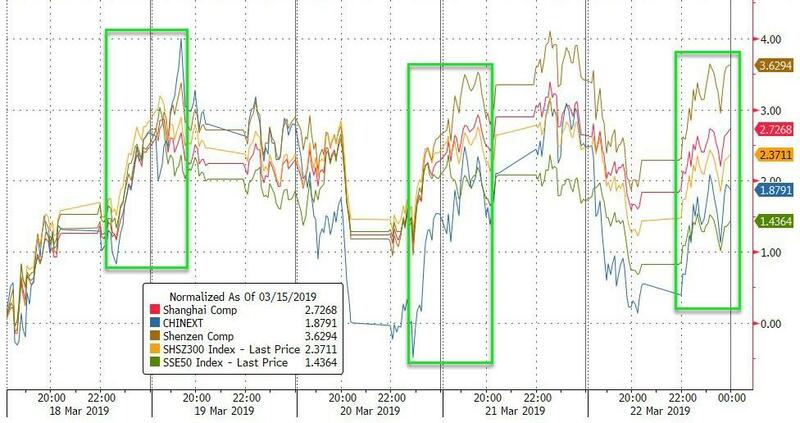 Moves in the yield curve are clearly leading equities. 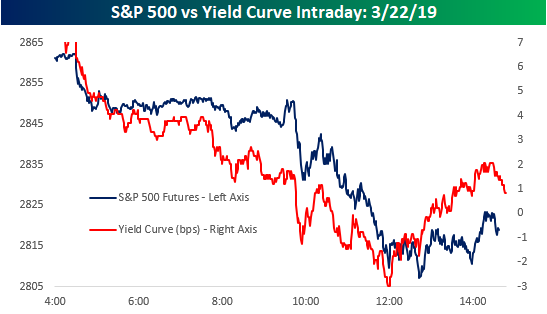 When the curve started flattening early this morning, equities started heading south with the pace of selling accelerating when the curve inverted. 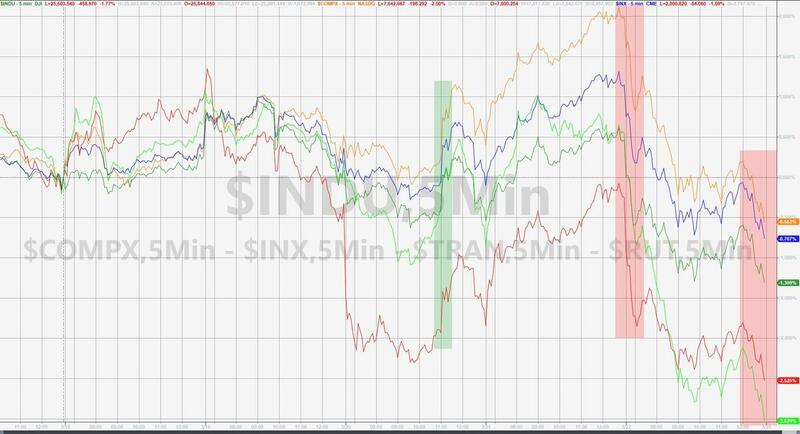 Then, as the curve made its intraday low right after noon, the low in equities followed less than 40 minutes later. It’s like the school playground, where the yield curve is the ‘cool kid’ and equities are the followers. 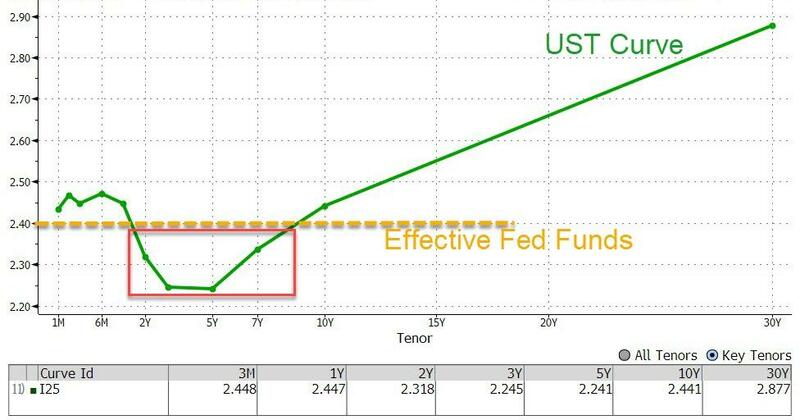 With regards to the outlook for the rest of the year, there’s no other way to describe the current STIRs market other than “getting carried away.” As shown below, the Fed Funds Futures market has moved from pricing a greater than 90% chance of no hikes in 2019 to a more than 50% chance that we will see a rate cut by the end of the year! For context, as recently as mid-October the odds of either one hike, two hikes, or three-plus hikes were all around 1-in-4. 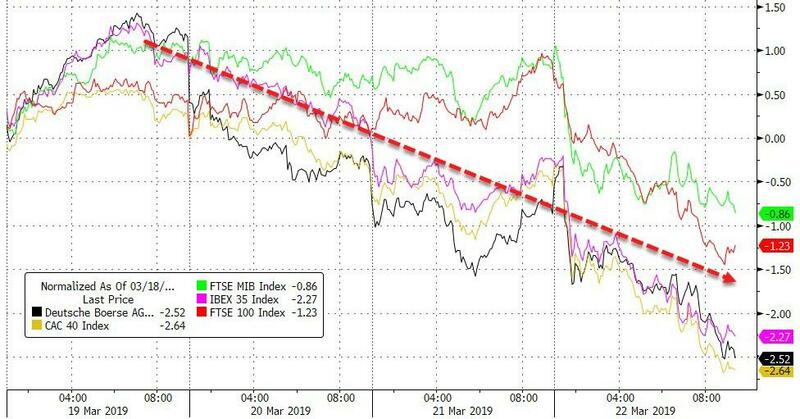 While rate hikes being taken off the table for this year makes sense given the Fed’s extremely dovish shift since financial markets collapsed and global data gave up the ghost late in 2018, markets are going considerably further. 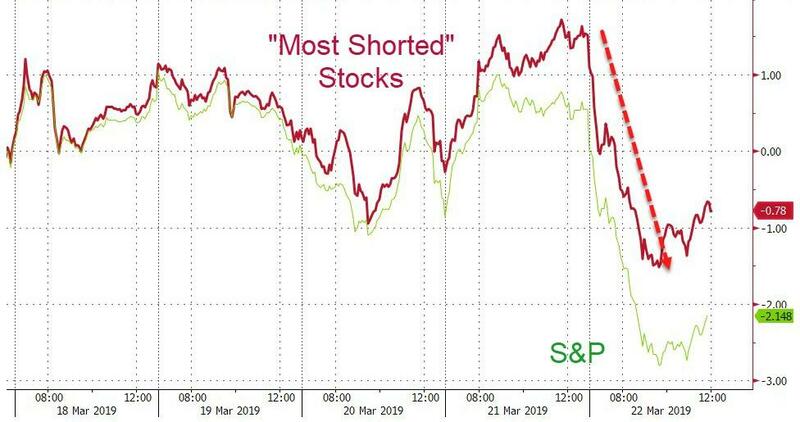 Investors are wondering what the right number is for the market as stocks leg lower on bad global data to close the week. Without taking a view on what the “right” price for the S&P 500 is, below we show a way to organize thinking about valuation in the short-term. 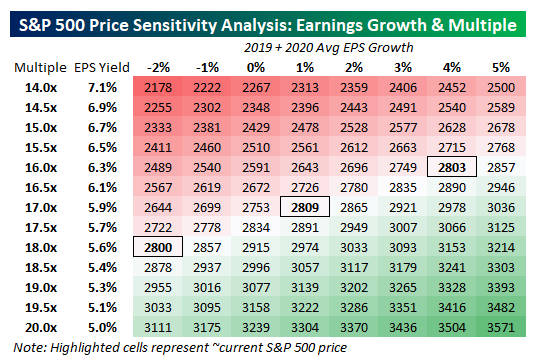 In the table below we show a range of EPS growth rates relative to 2018 and a range of multiples on the resulting EPS numbers. 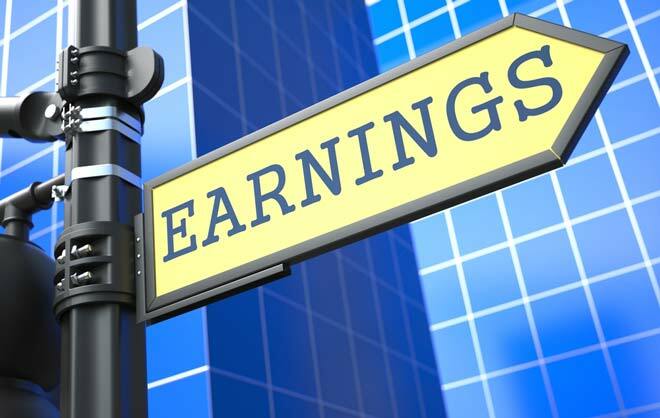 The result is where the S&P 500 should trade given hypothetical earnings and how those are valued. 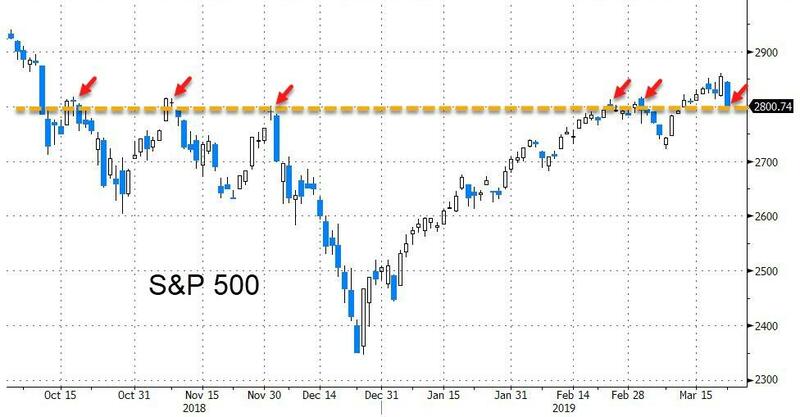 For example, if you estimate EPS will fall 2% in both 2019 and 2020, and you value those EPS at a multiple of 15.0x, the S&P 500 is almost 700 points above where it should be! 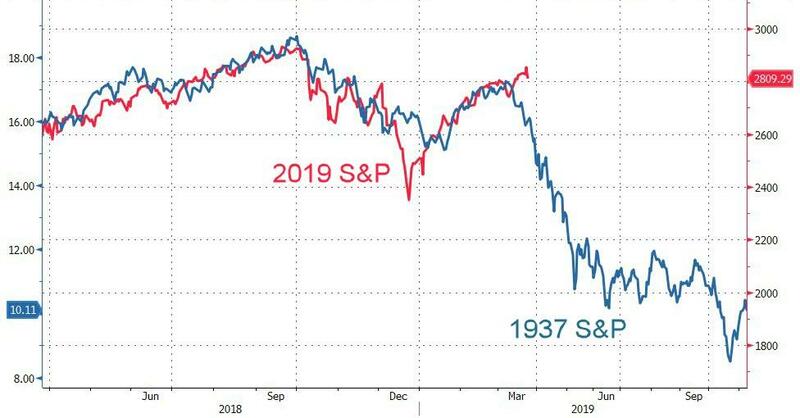 Alternatively, if you think EPS will be stable but should be valued at a relatively aggressive 19.0x, the S&P 500 should be trading near 3100. In the grid below, we’ve highlighted ~2800 values (roughly where the S&P 500 sits right now) to show the implicit EPS growth and multiple assumptions embedded in the price. 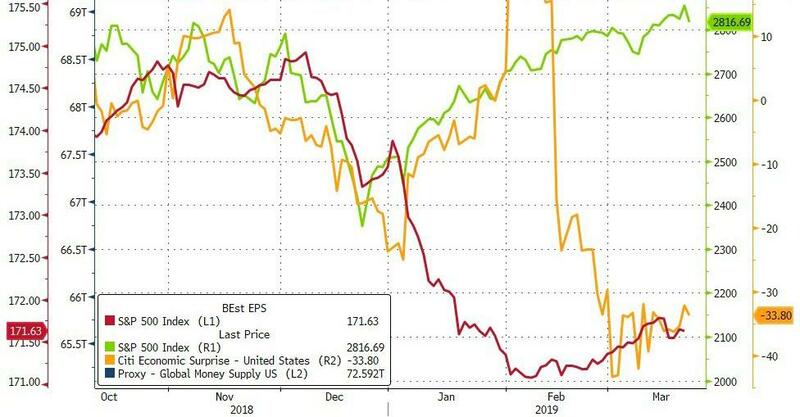 Again, we don’t know the “right” combination of multiples and EPS growth, but if you’re extremely beared up with the Friday drop or think stocks are set to surge thanks to a dovish Fed, this analysis can help you see what sort of assumptions would need to play out for that to happen. The Federal Reserve (Fed) has doubled down on its patient stance. 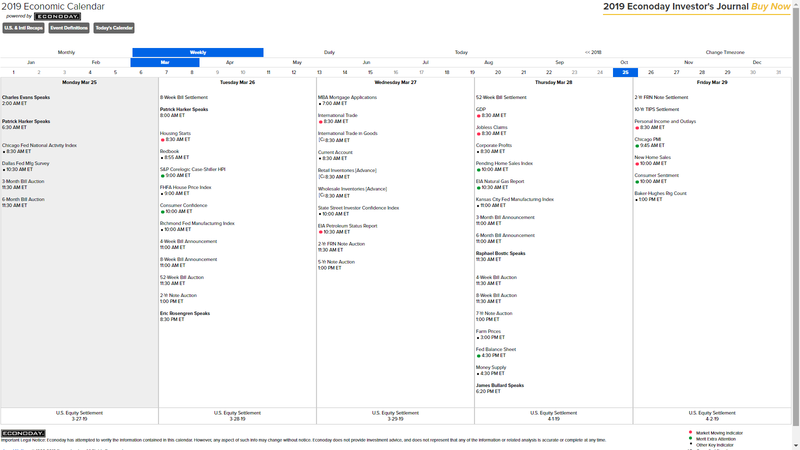 Policymakers signaled a complete pause in policy at the conclusion of the Fed’s March meeting, with a nod to a slowing pace of growth and global uncertainty. As shown in the LPL Chart of the Day, Fed voting members projected (via the latest “dot plot”) unchanged to slightly lower interest rates this year, with one more rate hike in 2020 or later to lift the long-term rate to 2.75%. Policymakers also lowered their gross domestic product growth projections to 2.1% for 2019 and 1.9% for 2020, while Fed Chair Jerome Powell acknowledged that global weakness could be a notable headwind to the U.S. economy. Powell hinted that interest rates are in the “broad range” of neutral, or the point where policy is neither accommodative nor restrictive to output. 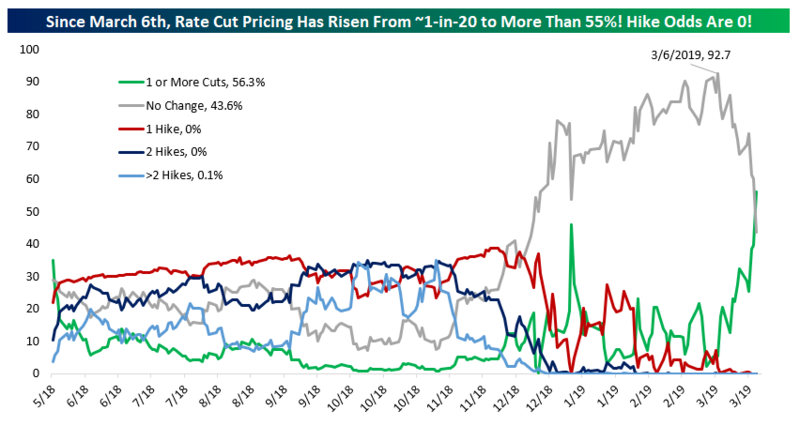 That doesn’t mean that rates have hit a short-term ceiling, though. We wouldn’t be surprised if stabilizing U.S. growth and higher inflation lead to a rate hike in the second half of 2019. The Fed’s current projections give few indications of that happening, likely because of policymakers’ hesitance to pass judgment on the U.S. economy amid mixed signals from data. 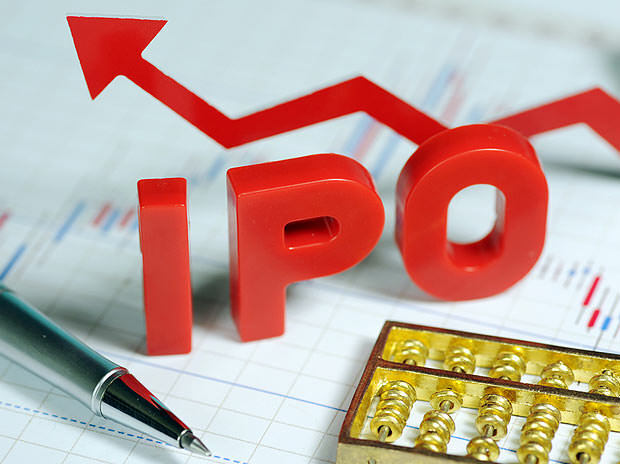 Because of this, we expect the Fed to carefully communicate any change in stance to investors. 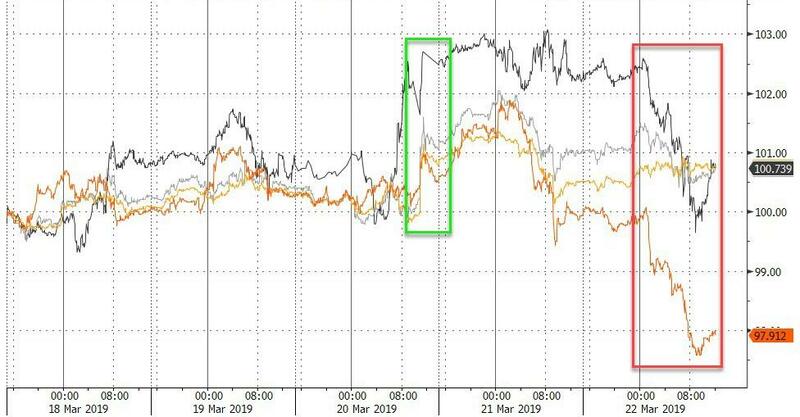 The Fed also announced it would start reducing the pace of its balance-sheet runoff in May, and end the runoff entirely in September. Powell reiterated that interest rate changes are the Fed’s primary policy tool, but a larger balance sheet could help buoy risk assets and capital investments. 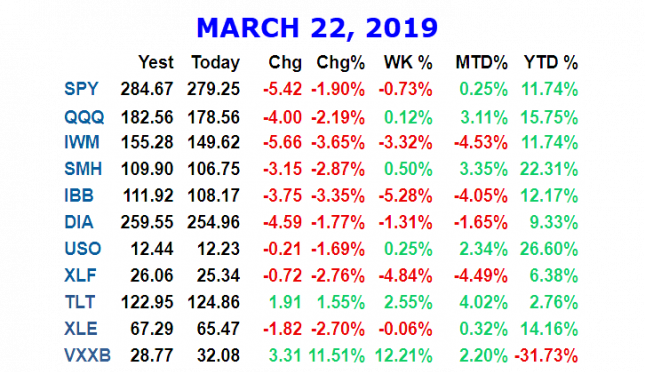 Stockaholics Daily Stock Pick Challenge & SPX Sentiment Poll for Monday (3/25) <-- click there to cast your daily market vote and stock pick! 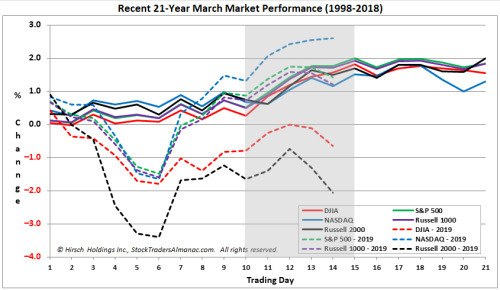 Stockaholics Weekly Stock Picking Contest & SPX Sentiment Poll (3/25-3/29) <-- click there to cast your weekly market vote and stock picks! Stockaholics Weekly T/A Charting Challenge (3/25-3/29) <-- click there to participate! 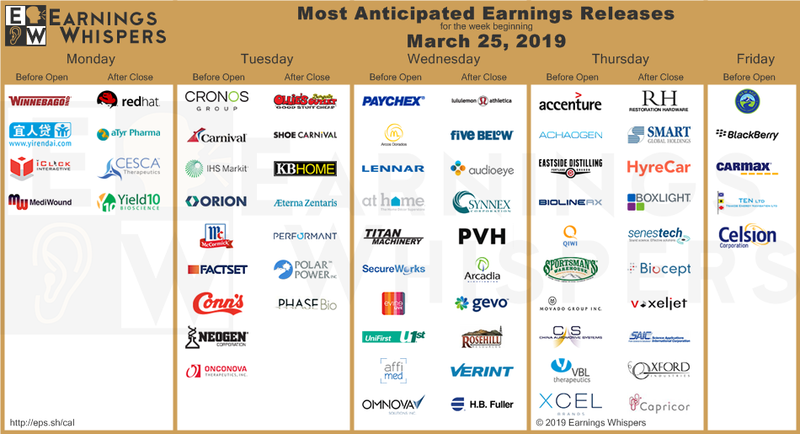 Most Anticipated Earnings Releases for the week beginning March 25th, 2019 <-- click there to view! Steven_Burt and anotherdevilsadvocate like this. 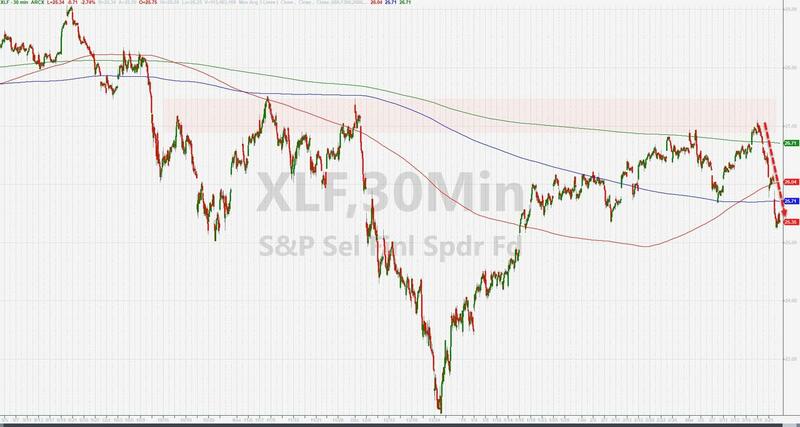 One guy says 90m/30y spread needs to invert. 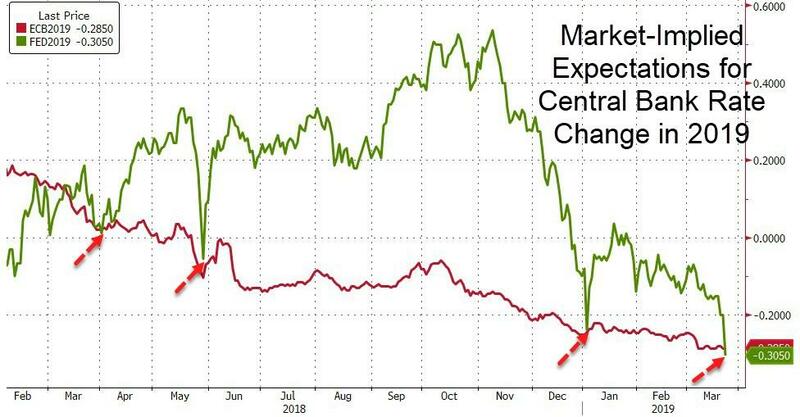 One guy says 2y/10y spread needs to invert, and that hasn't happened yet. Although everything shorter than the 2y has exceeded the 10y. 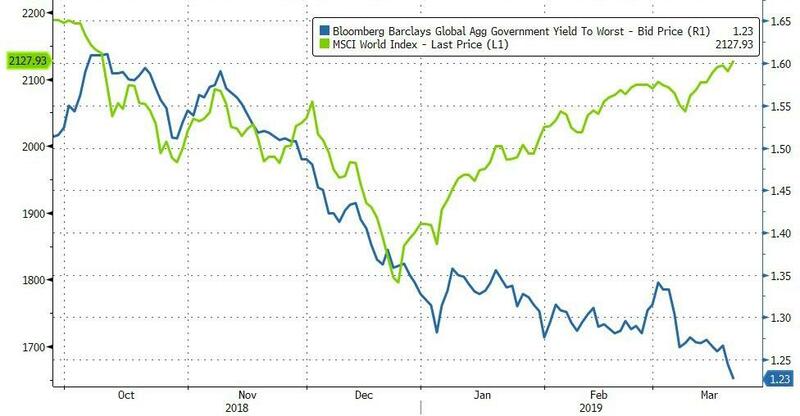 I'm waiting for the 2y/10y inversion. 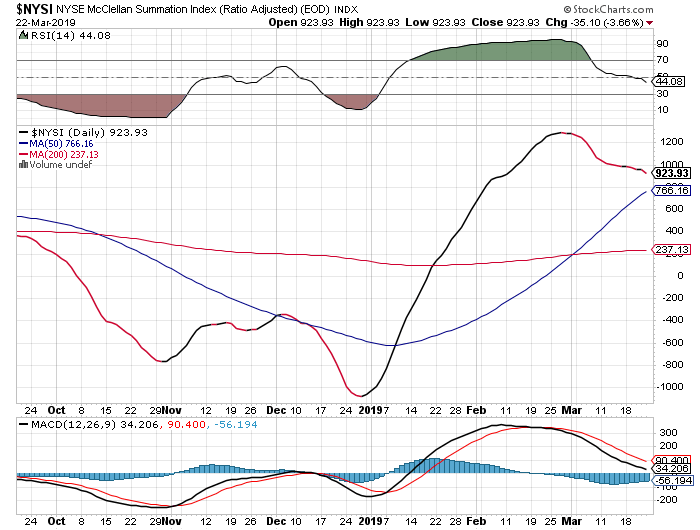 So...we don't have a real inversion yet, so none of the above is in play yet (i.e. 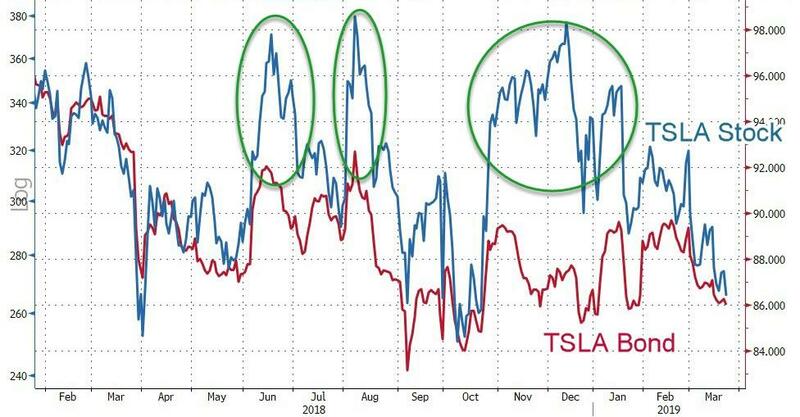 don't worry about market tending to rise after inversion). 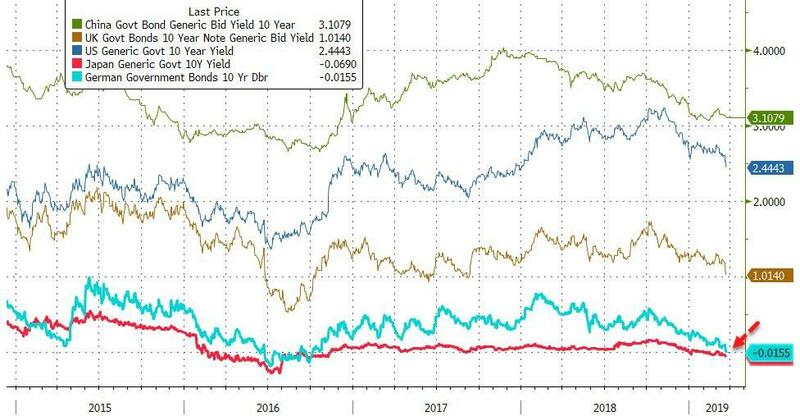 But bigbear0083 shared this nice data (https://blog.knowledgeleaderscapital.com/?p=16080)...if the market does drop in the short term, it's not because of interest rates. 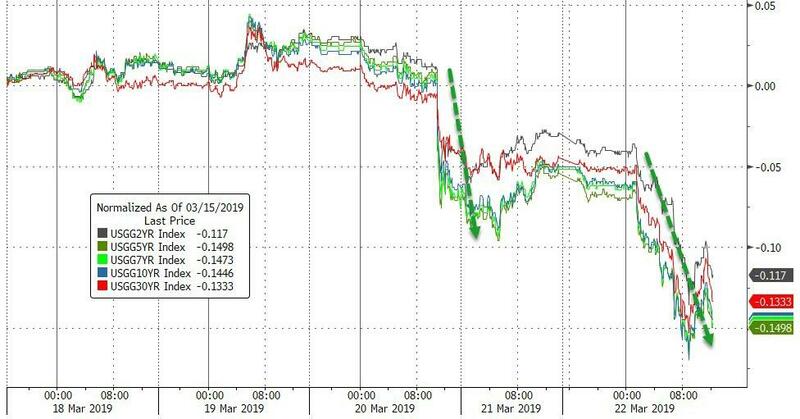 The weekend’s release of the Meuller Report did not have the kind of fireworks that some were looking for but that markets can’t stand. 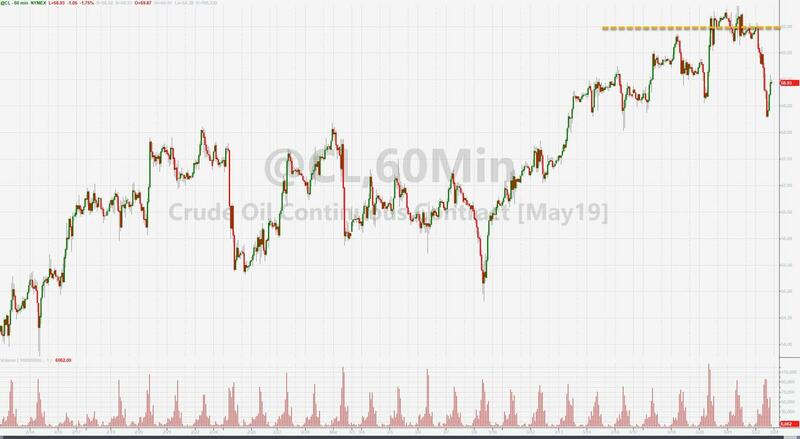 From a political perspective, we’re probably far from the end of hearing about Russia, the elections, and any obstruction, but based on the market’s complete lack of any reaction this morning, it has already moved on. 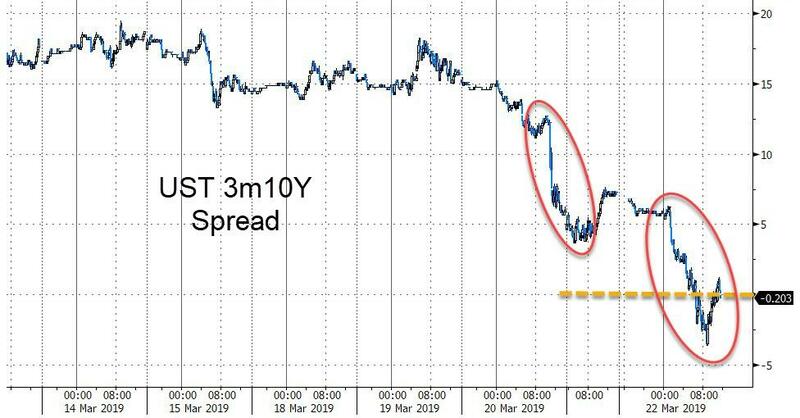 Market’s will also be trying to move on from Friday’s sharp declines after the yield curve (10y/3m) inverted for the first time in over a decade, and with the curve back in positive territory this morning, that should help stabilize things for now. 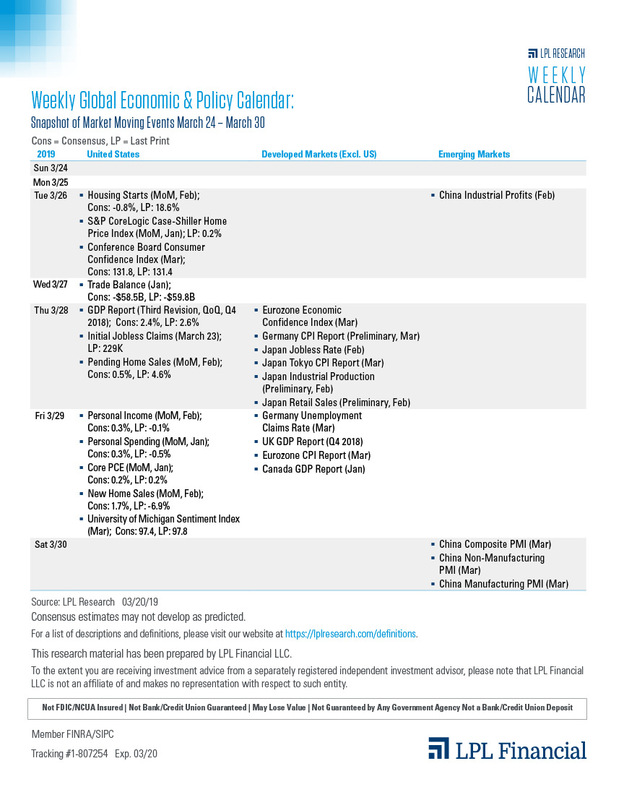 Don’t forget, though, that there are just six days left in the quarter, and shortly after that Q1 earnings season kicks off, so that should be, at a very minimum, an interesting period for equities. 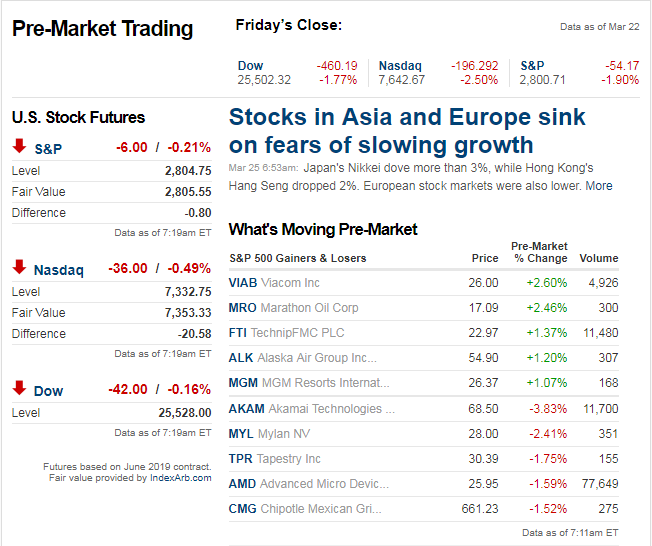 Following in the heels of Friday’s sharp declines, Asian equities were hit hard overnight. For China, that meant that its streak of 1% gains to kick off the week ended at six. 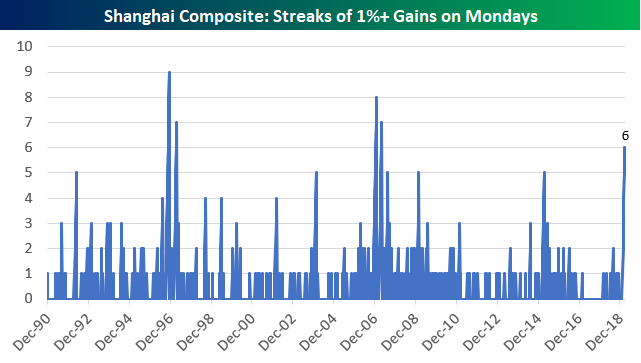 That was still enough to be the longest such streak of 1%+ gains in over a decade. From a technical perspective, though, China’s rally is still intact. 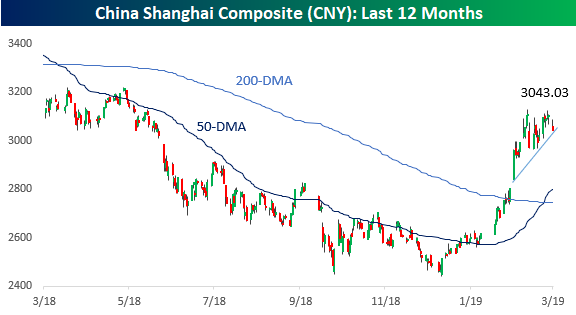 While the Shanghai Composite has been consolidating gains over the last two to three weeks, the short-term uptrend that has been in place since it broke out in late February remains intact. 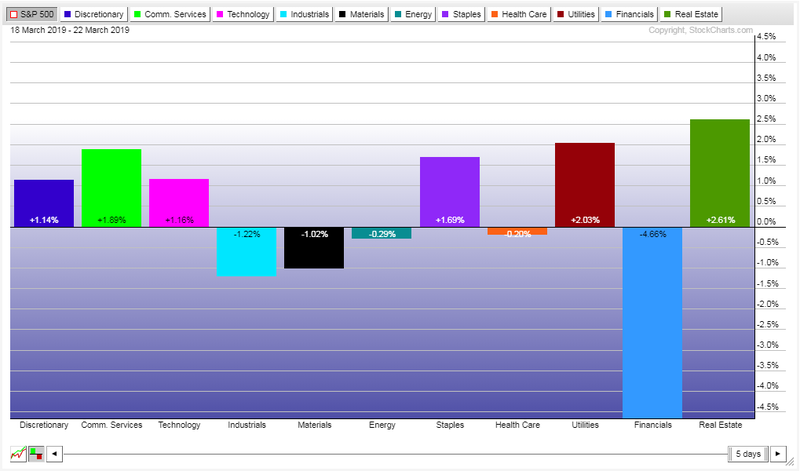 Retail strong, chips/semiconductors weak right now. 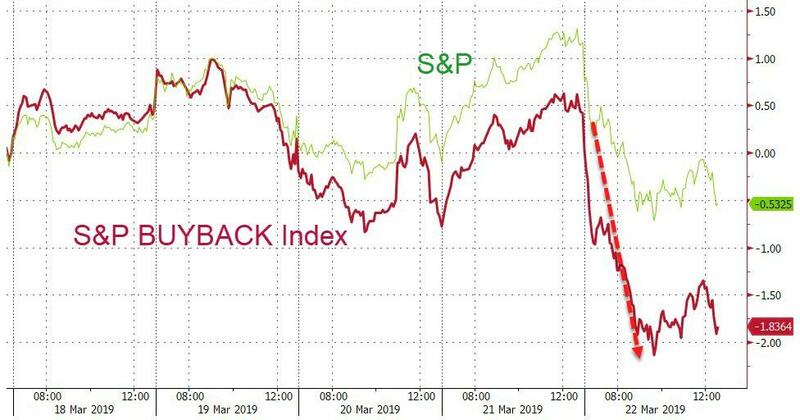 Market back to even.